Let nobody ever accuse my family of being the beautiful budding bouquet of romantics that we clearly are. It contains as much passion as seven passion fruits which as any passion fruit enthusiast will tell you is a lot of passion. It’s brimming with bosoms. It’s erupting with enchantment. It’s arresting with amour. Yes, the surname may be a slightly different spelling but you can tell whom the inspiration was, regarding of what the English language says. I only hope that they’ve got enough copies to satisfy the general public’s thirst for my scintillating life. I can tell it’s you just from the picture. Look at that stylish hair and that unmistakeable green and pink smoking jacket. Along with all the passion and bosoms, I hope it also contains copious references to your skill in scanning paper documents and adding them to websites. You’ve certainly done a bang up job here. My skills of repairing washing machines and spraying quarries are notorious. Who knew I could also scan / collage things? I’m completely off the charts! 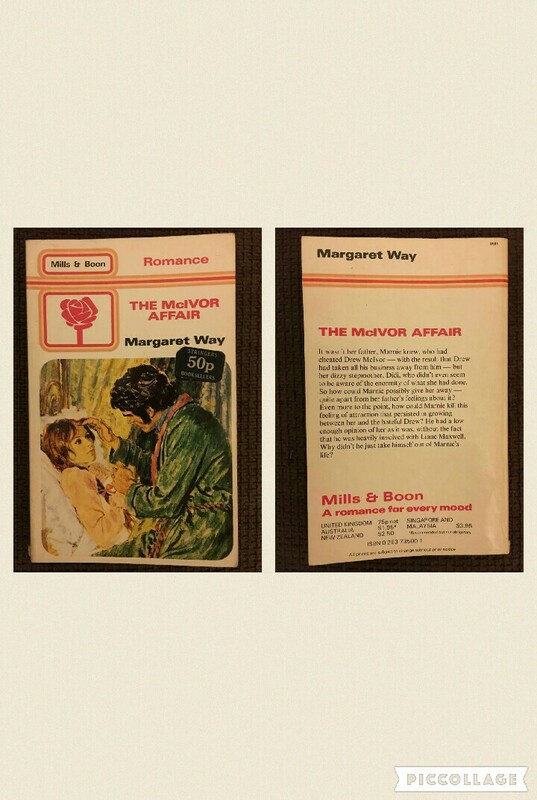 The book cover says there is a “romance for every mood”. What would you say is the mood that this book is designed for? I do hope that the affair isn’t a purely McIver one, and that the bosom carrying ladies hail from regions further afield. Which region were you hoping that the bosom carrying ladies were from? One where their surname isn’t McIver. Chesterfield, maybe. Or Daventry. One of those. I hear there’s a whole mountain of basoombas in Bideford. Is this true? Chris, you live near there; can you verify this? By “live there”, do you mean “live nearer to there than you”? Because if so I am also your number one correspondent for matters in Johannesburg and Tel Aviv. Anyway, yes, I’ve been to Bideford and can confirm it’s awash with knockers. Awash with knockers. Sounds like another of Kev’s pub names. I’d go there for a swift one. I’d go for a couple of jugs. I’d down a bag of pork scratchings there. W… no, that one didn’t work. No, I’ve lost it too. You know who’s good with things like this? The R ‘n’ B Beaver. The R ‘n’ Beaver? Is he still around? I thought he was producing records now. I heard he was working on the new one by Justin Timb-owl-ake. He got into tree recordings with Jenni-Fur Lopez but that scene is old and dated now.